Lou is principal architect with Design Coalition, Inc., of Madison, Wisconsin. Since 1977, his projects have included multi-family housing & co-housing, childcare centers, new homes & additions, community-built projects, museum exhibits, and community centers. Lou's areas of professional focus are resource-efficient ('sustainable') design & planning, and environments for children. He speaks regularly to student and community groups and gives frequent media interviews. 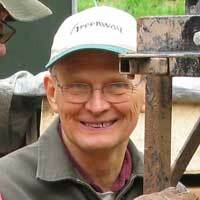 Lou lives in a straw-clay home, has been active in his progressive EastSide Madison neighborhood for going on 4 decades, served on Madison's influential Urban Design Commission for 12 years, and helped the city to write and implement its "GreenPrint" as chair of the Sustainable Madison Committee. Douglas is our lead chemistry and equipment engineer-researcher. He holds 15 U.S. patents; his specialties are in inorganic, surfactant, particulate, aqueous and surface chemistry phenomenon and processing equipment for particulates such as pigments and clay. Doug has 20+ years of experience in the pigments and computer industries doing research and product development, inventing, patenting, and manufacturing scale-up of new material compositions and processes. His original straw-clay research has included inventing methods of on-site refinement of local raw clay-loam, and quantifying the permeance and durability of walls and earthen plasters, and 'soft ceramic' (earthen) floors. 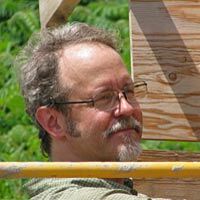 Doug's research in sustainable housing started in 2001 and has included workshops and trainings with Design Coalition, Community Education and presentations at Wisconsin's MREA Energy Fair. Sue coordinates transdisciplinary action-research partnerships with colleagues in academia, professional practice, non-profit organizations, and government agencies to forward socially, ecologically, culturally, and economically sustainable preservation and development. Sue develops and tests innovative methods for program development and evaluation in cross-cultural and transdisciplinary partnerships. 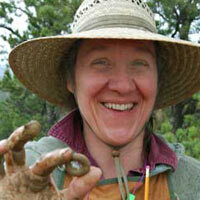 She has received federal grants from the DOI, HUD, DOA, USDA, NEA, the Enterprise Foundation, and the Baldwin Foundation. She holds professional degrees in architecture (BPS Arch, SUNY-Buffalo), and Landscape Architecture (MLA Cornel) and advanced degree in Environmental Science (Ph.D. SUNY-ESF). Sue is also Executive Director of Design Coalition Institute. Jim and his wife Connie work a growing organic farm in Northern Illinois called Grace Acres. A voracious learner himself, Jim is deeply involved with educational and community activities in his area, and is a powerhouse supporter in advancing straw-clay building technology. He speaks regularly on his work building with straw-clay, and assists with presentations & demonstrations at the Illinois and Wisconsin Renewable Energy Fairs. Jim has also assisted with rural road building classes at Tillers International, an organization devoted to improving animal-powered farming practices in third world countries around the world. Jim is in the final fitting-out phase of his solar heated straw-clay workshop building, and in 2017 he and Connie will break ground on a new straw-clay home. Scott is a craftsman and carpenter by trade. 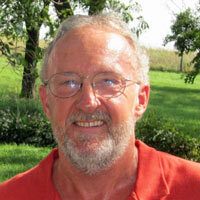 He is the owner of Lightfoot Inc. which specializes in the construction and design of Light Straw-Clay (LSC) homes. Scott has been building homes with earthen and natural materials in the high desert of New Mexico since 1998, and continues to develop methods for high performance construction. 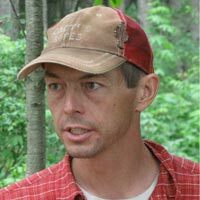 In 2007 he began working to help advance light straw-clay with Design Coalition in northern Wisconsin. He has appeared on the Discovery Channel, and in 2010 his own LSC family home won best in show in USGBCNM's Green-Built tour. Scott's work with the Straw-Clay.org team is strongly focused on integrating the process into the construction industry and communicating its advantages clearly with homeowners. 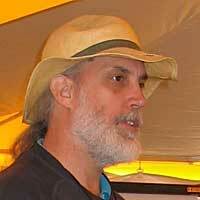 Roger is a Wisconsin Registered Architect since 1998, with 9 years of construction experience under his toolbelt. Despite professional B.S. and M.S. degrees in Architecture from the University of Illinois at Chicago, Roger is equally at ease on a construction site as designing on a computer, or for that matter performing on piano. His special professional interests include adaptive re-use and building material recycling. Christi is a designer, with Design Coalition since 2008. She has a Masters in Architecture from the University of Wisconsin— Milwaukee and, since 2005, has been a LEED AP (Leadership in Energy and Environmental Design Accredited Professional). 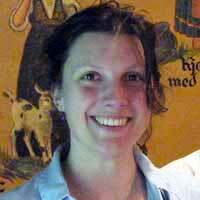 In 2011 she also completed a 9-day training to become one of Wisconsin's first Certified Passive House Consultants. 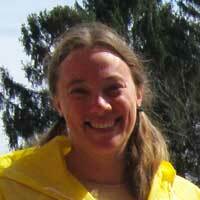 Christi gives presentations on sustainability and Passive House, and is active in the Wisconsin Green Building Alliance. Her passion is for community-based, sustainable design that is carefully woven into the existing environment, creating places that are both delightful and enriching. Day is a native Madisonian whose alternative education started with Montessori and resolved into a BA in Sustainable Systems from Antioch College. She is an EMT who also works in freelance public relations for holistic health and environmental justice organizations, and as an educator in workshops on women's self-health-care, homemade skincare, natural building materials and chemical sensitivities. She loves facilitating group conversation, and watching a room full of strangers gel into a productive and engaged team.